In all of my writing, and all of the work I do with individuals and groups, I am driven by my belief in the goodness of people, that there is beauty all around us, and that there is reason for hope. Science and experience have confirmed over and over again that we have at our fingertips access to meaning and hope and purpose if we would only let ourselves see. Yet I am troubled that people don’t see. Turn on the news and we are hit over the head with everything that is wrong with the world. So many people are just slogging along in the work place. Our home lives become sources of stress as we try to manage the challenges of parenting and of living with the growing, changing people we love. There are crushing debts and bills to pay. Health issues rudely force themselves on innocent loved ones, and somewhere along the line, so many of us feel like we’ve lost touch with our dreams. We all have hard and mundane things we have to navigate. However this is not the whole of life. There is so much to be hopeful for, so many reasons to fall deeply in love with life. I address these matters directly in my most recent book “Mud and Dreams”. My newest book, Mud and Dreams is a series of essays on the poetry and science of living. A work of “motivational poetics” the book speaks directly to the human concerns at the center of our lives. 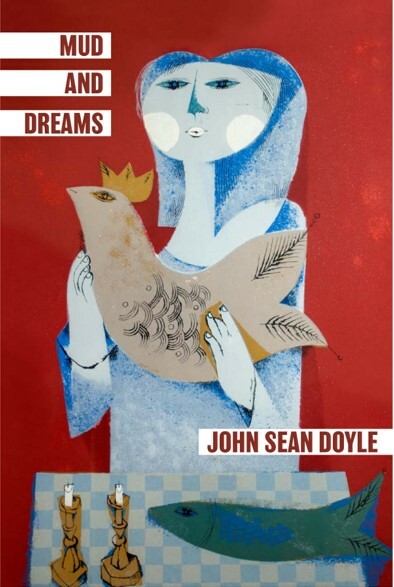 Mud and Dreams makes poetry, philosophy and psychology accessible and relevant again, by starting not with jargon or form, but with what matters to people. Most importantly, it is an argument for the goodness of people, for the persistence of kindness, the ubiquitousness of beauty and the irresistible strength of vulnerability. With sensitivity and honesty, Mud and Dreams brings a poet’s imagination to the worlds of business, love, parenthood and life. It respects the reader with intelligent, embroidered prose, and celebrates people at their best, despite our shortcomings, despite life’s hardships and challenges. The book is divided into short, but sensitive and honest chapters about love, marriage, children, truth and beauty, paradox, irony, health, old age, permanence, loss, authenticity, injustice, compassion, work, pain and sorrow, kindness, the connections between people, peace, awe, humility, death, a life of play and meaning: In short, those things that make life worth living. Please get a copy for you and your loved ones here. 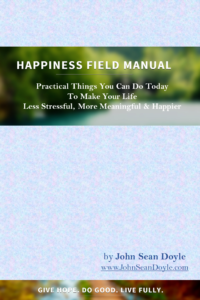 While Mud and Dreams is an intimate embrace, a dialogue and relationship, Happiness Field Manual, is a short, practical guide that summarizes all the research into Human Flourishing and offers roll-up your sleeves advice of what you can do right now to enhance the texture and quality of your life. For a limited time, Sign up and get your free e-copy. A paper bound edition is also coming soon! Being Human: A Love Letter, is a “chapbook”, a short sample of some of my other readings that are explored more deeply in Mud and Dreams. When Being Human was released, the reception was humbling and overwhelming. 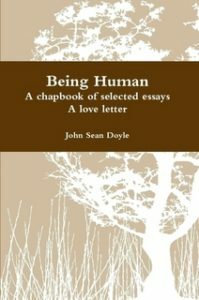 After reading the book, author David Pollay, co-founding Associate Executive Director of the International Positive Psychology Association, referred to me as the “poetic voice of positive psychology.” You can find Mr. Pollay’s full review here, and get your copy of Being Human here. I wish I could look you directly in the eyes and help you see the meaning and beauty of your lives. But since I am limited to only words on a page and on a screen, I hope that you find something in them to encourage and comfort you, and help you discover a reverence for being. If you enjoy and these pages and find this work valuable, I would love to stay in touch! Please comment on the articles and share with your friends. Help others recognize the truth that their lives matter. Thank you.